Former governor of Abia State, Dr. Orji Uzor Kalu, has counseled the Igbos to focus on more realisable objective of presidency than dissipate energy on the pursuit of Biafra as a country. For Kalu, the agitation for Biafra country by the Igbos cannot be made possible now. The former Abia governor who recently jumped ship from the peoples Democratic party to All progressives Congress urged the Igbos to rather up their political ante and play politics of inclusion which can earn the Igbo the nation's president sooner. He spoke in Lokoja on Saturday while delivering a lecture at an Igbo gathering for the inauguration of Igbo Support Group for Governor Yahaya Bello of Kogi State, which he titled: “Mainstreaming Igbo in Nigeria Politics”. He said, “We must fix Nigeria to work for all inclusive of all aspiration of all. We (Igbo) have made progress but it is not yet Uhuru for us. This is not the time to pop champagne but a time for conscious reflection on the road we have passed, where we are and where we intend to be in the years ahead. He also spoke on the recent quit notice giving to Igbo by the Arewa youth. His words, “Recently, we have witnessed a rise in ethnic activism. A lot of people have expressed fears that Nigeria may be coming to an end. Well in politics, you have to entertain all manner of fears while working on possibilities. However, because of that fears, we have seen a 'quit notice' order from some northern youth groups. I will focus on the possibilities. And the first is that a United Nigeria is an easier possibility than a balkanized country. I see a more united country rising from the ashes of hate and fear. “However, the issues raised have causes some to wonder if the Igbo have leaders. Of course, Igbo's leaders are talking and dialoguing. In politics, you often dialogue more than you talk. So in managing a diverse country like Nigeria, you need to dialogue and communicate rightly. That way you will be able to manage tension. In this regard, I want to specially thank the leadership of Ohaneze Ndigbo led by Chief John Nnia Nwodo for the matured way they handle the quit notice. “People are naturally attached to their religion, customs, and tradition. People take offence at the abuse of their religion, customs and tradition. This is because any such abuse is considered an affront. I am not sure of any Igbo man who will like a non-Igbo resident in his village transgressing the custom of his people. If you will not like that, don't do it to another person. That is the golden rule. If you do just that, the source of friction and trouble will be defeated. “I believe the Igbo are in a better position to understand that all politics, like they say, is local. It therefore suggest that the Igbo must see the need to align properly and seek strategic partnership of other interest groups and political blocs to achieve whatever developmental ideas that they have; such as the shoot for the presidency. In politics, you market yourself and make yourself a strategic ally. 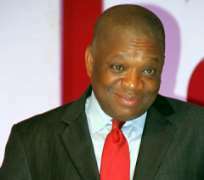 Kalu, who prides himself as a political general, does not suffer any political attacks lightly. And he had some words for Governor Ayodele Fayose of Ekiti state over his comment against him in a recent interview. Fayose had told the Interview magazine that Kalu was misleading the Igbo to embrace the All Progressive Congress, and also on his (Fayose) comments on President Muhammed Buhari. Kalu, who took the advantage of the Lokoja forum to reply Fayose, said, “I call on my friend, Governor Ayodele Fayose to focus his criticism of President Muhammed Buhari on his performance rather than his health or family issues. When I was a governor I was at logger head with former president Olusegun Obasanjo but it was purely on government activities. I never went personal. Fayose should take a cue too. According to him, Igbos should realise that can no longer be ignored in the politics of Nigeria, just that the Igbo has not seen themselves so.